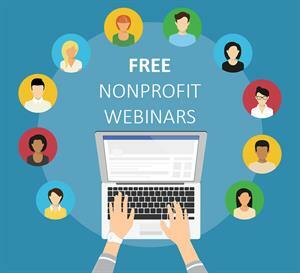 Keep your 2019 momentum strong by watching a few of the free nonprofit webinars happening in March - and learn how modern organizations maintain their tax-exempt status. Topics this month include how to get the most out of your fundraiser, maximizing auction revenue, automated marketing, the best grant writing strategies, and finding volunteers for your cause. Now, here are all the free nonprofit webinars happening in March with times indicated in EST. So you want to run an auction fundraiser or have run one but are wondering can we do more with the event to REALLY increase the final donation amount? In this webinar we will focus on maximizing the Silent & Live Auctions (in-person auction event). How are nonprofit professionals just like you jumpstarting their week with purpose? Motivate Monday’s guest list reads like a “Who’s Who” of the nonprofit sector, with participants ranging from Ken Burnett to Tom Ahern to Gail Perry to John Haydon to Kivi Leroux Miller to Jay Love to Joan Garry…and YOU. What landing pages are and why we should care. 13 types of landing pages your organization should utilize. 4. Single Days of Service: Make 'em Work! 100 monthly donors are worth an average of $24K a year? Monthly donors give 2–4 times more than non-monthly recurring donors? Monthly donors continue to give for at least 5–7 years, often longer? Monthly donors are 7 times more likely to leave a nonprofit in their will? That’s why it’s so important to nurture recurring monthly donor relationships. This is an interactive webinar geared toward creating your nonprofit’s road map for monthly giving success. You have the tools—let us help you use them to the fullest. Get a complete road map to generate a monthly donor program. Know the statistics to convince your boss and board it’s time to focus on monthly giving. Learn best practices for recognizing, cultivating and treating monthly donors once acquired. Be ready to prevent lapsing monthly donors. In this webinar, Andrea Mitchell from Enkel Backoffice Solutions will discuss financial best practices for nonprofits, with a focus on how organizations can simplify their year-end process. Participants will learn the accounting fundamentals that nonprofits need to know, as well as details on tools and processes that can help to streamline your back-end processes. Does my organization need a Notice to Reader, Review Engagement, or Audit? What do you need to provide to your year-end accountant? How can I simplify this process? What additional benefits can these tools offer? How long will it take to for your organization to meet its mission, declare victory, and go out of business? Some nonprofits can envision success in a decade or two; others will continue for centuries. Will you be around for the victory party? If you’re not training the next generation of leaders, who will carry on? These days it can feel like you’re drowning in the sea of non-profit competition. Competition to get attention. Competition for donor dollars. Competition for awareness. And it’s exhausting to feel like you’re constantly competing. Rather than continue to compete, let’s talk about how your non-profit can differentiate itself. Join me for our next FREE webinar where you’ll learn how translate your organization’s strengthens and differences into stories that stand out. Customized for small nonprofits on a limited budget, this webinar will highlight current trends in online fundraising. Online donations make up an average of 7-10% of a nonprofit’s annual budget, but that number will grow rapidly in the coming years. It’s crucial that your nonprofit knows the basics of a successful online fundraising campaign and has knowledge of emerging online fundraising trends in order to prepare for the future. Marketing has become a complex field, with evolving technologies, fast-paced processes, and data that must be analyzed, interpreted, and shared so you can continuously optimize those processes for better results. Teams are looking to Marketing Operations to transform the way they’re working, while at the same time, the very nature of marketing work strategically changes. But when teams are using disconnected technology, workflows and processes, and are languishing in silos, it can be a struggle to get a handle on day-to-day tasks, much less optimizing and streamlining how work gets done. Let’s explore the crucial connection between your annual fundraising program and your legacy program. We’ll share successful case studies and examples of #donorlove in action from Canada and around the world. You’ll learn how to find and share amazing stories that resonate with values and emotions and that will inspire your donors at every vital stage in your relationship. You wear many hats at your organization, and your job is always evolving. That’s why you need to be as efficient as possible in everything you do. Pave the path to better fundraising today. Hear from thought leader Joe Garecht as he discusses how to kickstart your fundraising efforts and grow your programs this year! Each month, you’ll get new strategies and tips to help you get inspired and move your mission forward. One of the biggest trends in 2019 will continue to be automated multi-channel marketing. Marketers have become accustomed to integrating their online efforts, but integrating with offline tactics like print will become the norm. It’s the art of taking creative marketing ideas, building them into data-driven, multi-channel marketing campaigns and launching them in one integrated platform. Lots of new and growing organizations are ready to start asking for online donations. Staff and leadership know they need to move beyond a passive strategy with a ‘Donate’ button to strategic goals that include growing their base, engaging the audience, and raising support across digital channels. But to ensure long term success, and speed up the ROI, there are activities that need to happen before the first campaign is launched. For a twist on the usual advice, join Danielle Johnson-Vermenton to learn what your organization needs to do before launching a digital fundraising and marketing program. She will explain the ‘why’ of each component, for example, why does an organization need a SOP for acknowledging and stewarding donations, and what’s needed in your CRM and online solution and why. Come for the practical advice and leave with a list of action steps that you can implement to prepare your organization for a successful digital fundraising program. This free webinar will provide you with an overview of how even small nonprofits can begin doing major gift fundraising. Register today! Join fundraising master trainer, Chad Barger, CFRE, for a workshop focused on fundraising innovation. The session will explain the need for innovation in any fundraising program, review four case studies of big fundraising risks that paid off and then provide a framework for adding innovation to your development program. Popular CharityVillage webinar presenter Gordon Holley, from Humanity Financial, returns with another free finance webinar - this time focusing on the role of the treasurer. Specifically speaking to small to mid-sized charities, Gordon will introduce you to where and how to find awesome treasurers, outline what ideal qualities you should look for in treasurer candidates, and will suggest training materials for those interested in or currently serving on a board of directors. Integrating skilled volunteers into your existing volunteer program is both exciting and scary. If you're thinking about adding skilled volunteers to your program, or if you've just started, this seminar can help you make the experience successful for both the volunteer and the organization. Navigating the introduction of the idea into your organization, developing the art of delegating work to volunteers, and setting achievable outcomes will be covered. Do you know what most super successful events have in common? It’s their rock star event committees! It’s a fact - committees can help with almost every aspect of fundraising events, including getting auction donations, soliciting sponsorships and selling tickets. What’s not to love about a group of volunteers working as a team to make sure your organization’s event is profitable!?! This free 60-minute webinar will take you through the process of identifying candidates for your chair position, discuss how to recruit committee members, and show you how to effectively manage your team and maximize the resources they bring to your event. Rebranding can include changing assets, reshaping culture, and building buy-in. Doing it well involves getting the right people involved, getting real about what it will take, and super effective project management. This webinar will map out how to plan and manage rebranding so yours has the best chance of success. We'll talk about essential roles, timing, and more. We've invited the designer of Fundraising the SMART Way, Ellen Bristol to give us a free one-hour webinar to show how to apply the SMART Way approach to your fundraising for larger gifts. In this webinar you will learn: An inexpensive way to find which of your current donors has large giving capacity and a simple 5 step process to tracking large-gift progress. Much has been written about the growing importance of managing uncertainty to protect and enhance organizational value. Some will wonder, however, what managing the downside and upside of risk or uncertainty looks like. Others may wonder what the process and role of a risk management practitioner entails, and some will ponder over the key steps needed to shift from theory to practice. Monica Merrifield is an internationally recognized strategic risk executive who will share practical approaches, techniques and tools to build risk management capabilities in your organization. Join us for this timely session to gain insights on how to navigate uncertainty with success, while achieving the impact we desire for our communities. The 5 types of nonprofit emails. The anatomy of an email marketing campaign. 6 email marketing mistakes to avoid. 5 secrets of email marketing geniuses. We often hear about concepts like the fundraising pyramid, donor prospecting, or the funnel approach to donor cultivation. But do these philosophical beliefs match up with reality? Join Steve MacLaughlin, vice president of data and analytics at Blackbaud and bestselling author of Data Driven Nonprofits, as he explores if what we think we know about fundraising is really true. This session will explore some of the most common myths about fundraising and how nonprofits can adjust to the new normal in giving. Too often, the fire that fuels those of us working in the social sector ends up becoming the fire that burns us out. Across the nonprofit world, organizations are perpetuating unhealthy work cultures, getting mired in conflict and divisions, and struggling to respond to systemic issues proactively instead of reactively. Nonprofit staff often end up feeling anxiety and hopelessness, working ineffectively in their teams, and traveling on the path to burnout. This live, online training will enable you to cultivate resilience-based practices in your own lives and in your organizations, to create a culture of sustainable activism. In the session, you will be guided through an assessment of your individual, team, and organizational resilience. You will learn how to develop effective methods of self and collective care, understand how stress and trauma impact individuals and teams, and learn strategies to cultivate stronger team communication to address conflicts and resolve tensions. Launch a successful website redesign project by incorporating the features and strategies that will make the most difference for your nonprofit website in 2019. In this training, you’ll learn about 10 important strategies, along with explanations and examples of each, that you can and should include in your next website. Bring your questions to this interactive training session taught by nonprofit website expert Yesenia Sotelo. This training is especially created for nonprofit communications, fundraising and executive professionals who are planning a website redesign project within the next 12 months. The materials are appropriate for organizations of any size, focus area, website budget and technology capacity. Your volunteer engagement program can be measured by more than just the hours a volunteer gives your organization. What other kinds of information should you keep track of, and how do you know if you're doing a good job with your volunteer engagement program? This webinar will help you think through both the quantitative and qualitative information you can use to evaluate your program. Obtain a deeper understanding of risk and opportunity, and why actively managing uncertainty matters more today. Learn what managing risk and embedding risk thinking means for social sector leaders. Gain insights that will help you navigate the upside and downside with success in your organization. Many organizations consider a Capital Campaign, but don’t know where to begin. This free, 45 minute webinar hosted by Diane M. Carlson, Chairman of Catapult Fundraising, will discuss what to do and where to begin when planning for your Capital Campaign. This webinar will discuss the importance of a feasibility study, setting an appropriate Campaign dollar goal, building a gift chart, and determining a Campaign timeline that will work best for your institution. Has your organization ever looked at outsourcing all or a portion of its accounting? If not, it is because you’re not sure how the organization would benefit from this decision. Since it is not a common practice for nonprofits to outsource its accounting, we will discuss the process and discuss the overlooked benefits of outsourcing your Nonprofit Accounting. This webinar will help Executive Directors, Finance Directors, and finance staff to develop and use a financial policies and procedures manual. Savvy nonprofit leaders know that effective financial policies and procedures that lead to effective processes can be the difference between go. 48. What's My Role as a Nonprofit Board Member? You’re at the table – now what? Learn to participate in board meetings and other engagements with more confidence and knowledge about your role as a board member. We’ll cover board responsibilities and how you can be a strong resource for a nonprofit organization. 49. 3 Ways to STAND OUT and Win the Grant! Nonprofits are constantly faced with the challenge of finding and receiving grants. However, most grant proposals end up being rejected. One of the main reasons nonprofits skip the important opportunity to apply for grants is the concern about the time required to prepare grant proposals...and the competitive nature of grants. The #1 strategy EVERY nonprofit MUST use in order to get funding. How your nonprofit can stand out from the competition so they are eager to fund you! A CRITICAL step overlooked by most nonprofits when writing grant proposals. Thanks For this blog. This very helpful. Thanks Julia! Glad you enjoyed.